The fifth edition of LVMH Prize was once more a resounding success, with over 1,300 applications from over 90 countries from across the world. 9 designers were selected by 48 international fashion industry experts among the 20 semi-finalists who presented their collections in Paris, on March 1 and 2, 2018 (list enclosed). 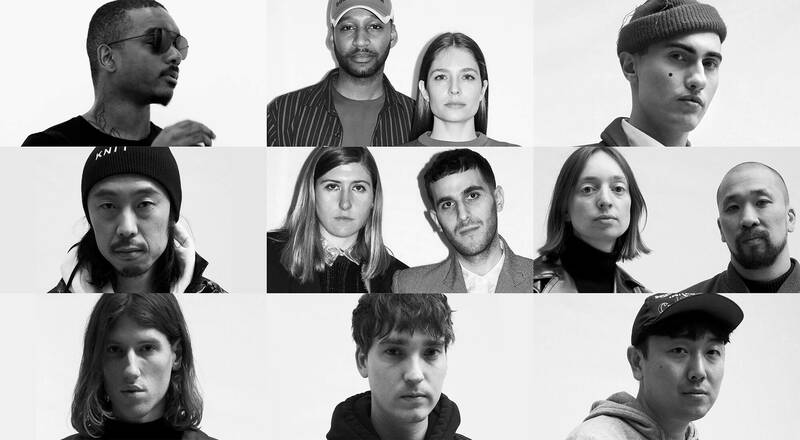 Those 9 designers are the LVMH Prize finalists. On Wednesday June 6, 2018, they will present their work at the Fondation Louis Vuitton to the jury of the Prize (list enclosed), who will determine the winner. A-COLD-WALL by Samuel Ross (British designer based in London). Menswear showing in London. BOTTER by Rushemy Botter & Lisi Herrebrugh (Dutch designers based in Antwerp). Menswear showing in Paris. CHARLES JEFFREY LOVERBOY by Charles Jeffrey (British designer based in London). Womenswear and menswear showing in London. DOUBLET by Masayuki Ino (Japanese designer based in Tokyo). Gender-neutral fashion showing in Tokyo. ECKHAUS LATTA by Zoe Latta & Mike Eckhaus (American designers based in New York and Los Angeles). Womenswear and menswear showing in New York. KWAIDAN EDITIONS by Léa Dickely & Hung La (French and American-Vietnamese designers based in London). Womenswear showing in Paris. LUDOVIC DE SAINT SERNIN by Ludovic de Saint Sernin (French designer based in Paris). Gender-neutral fashion showing in Paris. MATTHEW ADAMS DOLAN by Matthew Adams Dolan (American designer based in New York). Gender-neutral fashion showing in New York. ROKH by Rok Hwang (South Korean designer based in London). Womenswear showing in Paris. Delphine Arnault states: “The quality and the standard of the fifth edition of the LVMH Prize made it difficult for our experts to narrow down the selection. As a result, we chose to extend the number of finalists to 9 rather than 8, since several of the semi-finalists obtained the same number of votes. These 9 designers will be invited to meet the members of the Jury and show them their work at the Fondation Louis Vuitton, on June 6, 2018. The Jury will select the winner at the end of this unique day. Furthermore, the LVMH Prize for Young Fashion Graduates is still open to applications until May 15, 2018. It gives three young fashion graduates the opportunity to join the design team of three of the LVMH Houses for one year.